If your agency needs to stretch the budget—what agency doesn’t?—you know it’s challenging to manage traffic flow and safety with fewer resources. You’re trying to do more with less and less; you may have even developed a real talent for this in many areas. 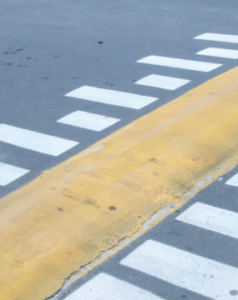 When it comes to traffic calming and traffic safety programs, it’s not easy to achieve and sustain program goals after budget cuts. It costs money to post officers on busy roads to monitor traffic and enforce speed limits, but it can be difficult to reallocate these resources from other critical duties so they can sit in their patrol cars and identify speeders. Then there are the issues of ongoing data collection and reporting— traditionally two time-consuming and cumbersome tasks. If you’re fortunate to have one or more radar speed displays at your disposal, you know how effective they are at alerting speeding drivers to slow down as well as giving you valuable feedback about the most effective times to conduct enforcement activities. But dispatching someone to drive to each sign to collect data (not to mention check batteries, make sure the signs are where they’re supposed to be and that they have not been tampered with) means taking another resource out of the field. That’s not always something you can afford to do when staff is already stretched thin. The public demands a lot when it comes to traffic management, and the pressures and obligation to serve and protect citizens won’t decrease, even as funding is being cut. That’s why it’s important to maximize every resource and traffic device available and find cost-effective ways to leverage technology for both quick wins and long-term results. Web-enabled traffic calming and speed enforcement devices can augment the work of agency by being on patrol 24/7. They can record accurate information (and in stealth mode without unduly influencing driver behavior), can be accessed from any Internet-connected device to check batteries, confirm location, program messages and other parameters, and allow you to download traffic data in real time for reporting. Also, by storing traffic data in the Cloud, you eliminate time-consuming data file management. 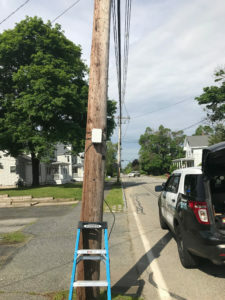 The Natick Police Department in Massachusetts is using their ATS devices in different ways depending upon the situation. Each year, Natick is home to Miles 8 through 12 of the Boston Marathon, and, as you might imagine, the world-famous event attracts a huge influx of visitors that results in a sharp increase in traffic. 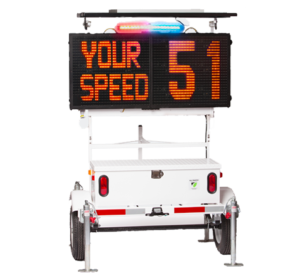 For the past several years, the Department has deployed trailer-mounted SpeedAlert 24 radar speed displays from ATS to communicate event-related messages to the public. Because the portable signs and lightweight trailers are easy to move from location to location, they can be used for different purposes whenever and wherever they are needed. Before the event, the signs notify motorists and residents of impending event-related road closures. During the race, the signs are stationed along the route to direct runners to medical tents and emergency shelters should they be required. After the race, the signs can be repositioned to direct spectator traffic out of the area to minimize congestion. Sign messages are pre-programmed remotely using TraffiCloud so that officers don’t have to drive to each sign to change messages, which would be problematic during such a busy, crowded event. The SpeedAlert radar speed displays get plenty of use in Natick the rest of the year, too. The Department utilizes their four SpeedAlert 24 signs and two SpeedAlert 18 signs to run speed surveys they use to clear complaints. This saves them from having to assign officers with Lidar to each location to collect speed data. A radar speed display is set up at the location in question to gather the speed data—first in stealth mode so drivers are unaware they are being monitored, then in active mode to display driver speeds as they pass, and finally in stealth mode again to capture additional information. Because ATS signs are easy to deploy and redeploy as needed, they can be mounted temporarily on a pole, stand, trailer or vehicle hitch, then moved to a new location to calm traffic on another road. 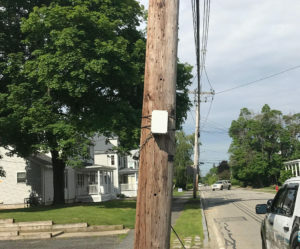 The Natick Police Department also uses StatTrak off-road counter classifiers with speed measurement from ATS because, at as little as three pounds each, StatTrak is easy to install, take down and redeploy at each new location. 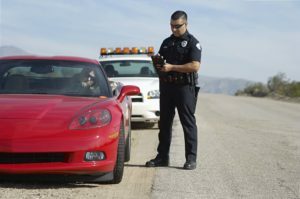 The police rely on the StatTrak’s speed measurement capability to run quick, accurate speed surveys that they can generate in seconds using the TraffiCloud remote traffic management system. 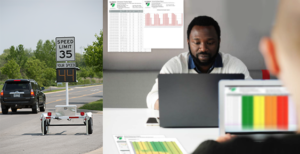 Unlike speed trailers, which can’t be used at every location, StatTrak is installed on the side of the road, away from direct vehicle contact for safety and uninterrupted traffic flow. The speed surveys are used to determine if the department should invest more time and resources into a particular roadway, and since oftentimes the data proves there is no issue, the Natick police can focus on what they do best—protecting the people. By being resourceful, the Natick Police Department and many other law enforcement agencies are achieving their goals and managing safety more efficiently and effectively. Read the ATS case study here. If you’ve ever had to follow up with residents regarding speeding complaints on a particular road or neighborhood, you know that generating speed surveys and traffic studies can be time consuming, and often the results prove there isn’t a real speeding issue at all. Or perhaps you want perform a traffic study to measure current traffic volume in an already congested roadway, without laying road tubes (which can be dangerous to install, easily damaged and a mess to pull up) so you can plan how to divert traffic during upcoming road construction. The good news is that you can conduct mini speed studies and baseline traffic studies—fast, efficiently and accurately—and produce simple speed and volume traffic reports to help clear complaints, identify enforcement priorities, improve traffic flow and plan for future growth. You just need the right tools. Police departments understand the importance of following up on neighborhood complaints regarding speeding vehicles on a particular stretch of road. The ability to address these concerns in a timely manner strengthens community relations and helps lighten the volume of paperwork for officers and staff. At times, these speeding complaints prove to be more of a perception problem. Other times there is basis for concern and remediation but researching speed issues has oftentimes involved assigning officers, using handheld Lidar, to manually monitor and track driver speeds. This takes officers way from fighting crime and taxes your already stretched budget. One solution is to first install a speed radar sign, such as the portable Shield 15, on the road in question. You can deploy the display on the road in stealth mode so that it can inconspicuously gather true speed data without appearing to be operational to passing drivers. (This is important because who hasn’t slowed down in observance of a flashing sign telling you that you’re going over the speed limit?) If the data shows that most everyone is obeying the speed limit, you can clear the complaint without using valuable resources. If there is a problem, you know that you need to take action, such as posting an officer with a Lidar device on the road for enforcement or installing a permanent speed sign to keep drivers in check. Another option is deploy an off-road counter classifier like StatTrak, also from ATS. 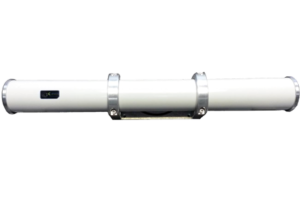 StatTrak is a portable, easy-to-install counter classifier that collects bi-directional traffic in up to four lanes at once and can be mounted to a pole on either the side of the road or in the median in under 30 minutes. If you have concerns that your radar speed sign in stealth mode isn’t “stealthy enough,” this lightweight device (weighing in at as little as three lbs.) is an ideal solution to collect information without the potential influence of the radar sign. Let’s suppose that despite all your efforts to slow speeders on a road, your reports show no noticeable decrease in average speed or in the number of speeders, pointing to the need to ask the DOT to perform a traffic study. Does filing this request mean more paperwork for you? Probably not, if you submit data reports that support your request and demonstrate that remedial action is indeed required. If additional speed data is required, you’ll be able to furnish it quickly and with greater accuracy than if you had to manually collect the data and perform ongoing file management to produce reports; your centralized data repository will provide the reports you need with just a few clicks. Most traffic complaints or speed studies get routed to the police department, other times it’s the public works department that will conduct that study. In either case, many traffic studies are still conducted by having someone stationed at roadside to manually count vehicles which is time-consuming, expensive and takes staff away from other important tasks. 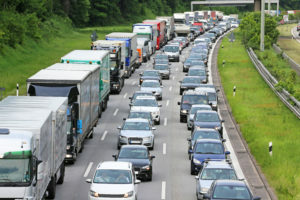 One city that ATS is working with is going to upgrade their 40 unconnected signs to be smart units so they can gather data and upload it to the TraffiCloud remote traffic management system. As the city grows and expands, they will have an accurate idea of how that population is moving and the impact on traffic on the edges of their city. As congestion gets worse, they can tie it back and track population growth through speeds and volume and see how those impact major highways or throughways. Whether your goal is to clear speed complaints, conduct unofficial speed surveys and traffic studies or produce accurate forecasts of traffic trends and population growth, All Traffic Solutions has the right portable, web-enabled traffic devices to save you time, budget and resources. As your community grows and your budget shrinks, your resources are probably being stretched to the limit. A growing population usually means an expanding infrastructure and more businesses moving to your area. How can you enforce speed limits and keep roads safe when you’re expected to do more and more with less? 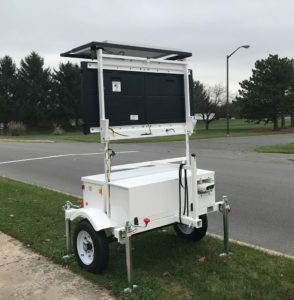 All Traffic Solutions customers are finding success by making our portable web-enabled radar speed displays an important component of their traffic safety initiatives. This post will discuss three of the benefits of these versatile devices. Most customers we speak with say that with the majority of speed-related complaints they receive related to a specific road prove to be largely unfounded. More often than not, it’s a perception problem. The resident may observe that cars are whizzing past their house in large numbers, but when an officer is deployed to the street to take Lidar readings, what they discover is that the percentage of speeding is quite low, or that there’s only an issue on Friday and Saturday nights between 10pm and midnight. Having the officer park their car for the better part of a week to come to that conclusion isn’t proactive, it’s reactive and costly, and it’s taking them away from other important police work. When the next complaint call is received, they’re assigned to the next location to do the same thing all over again. Another problem with sending an officer with Lidar is that when drivers spot the officer they’ll slow down so you’re not getting an accurate picture of the true extent of the speeding problem. Your officer can’t be at that site 24/7 so how do they know what time of day or days of the week is the issue most critical? You can deploy a Shield 12 or Shield 15 radar speed sign in stealth mode at the location so that it captures data but doesn’t display speeds. Drivers don’t know that the sign is operational so they don’t alter their speed as they pass. The sign will capture up to 10 days of accurate speed and volume data and produce a documented report of that 10-day time period that they can slice and dice to understand what’s going on.You can download the report as a PDF to share with the complainant, share with management, bring to your next town council meeting or post on your website. If you see that there is indeed a speeding problem, switch the sign to active mode so that it displays each driver’s speed as they pass. Oftentimes drivers don’t realize they’re surpassing the speed limit, and seeing their speed displayed is a jolting reminder to pay attention and slow down. TIP: SpeedAlert 18 and SpeedAlert 24 radar speed displays can be programed to display both driver speed and speed-dependent messages for added reinforcement. You can run a range of reports in literally seconds to understand traffic volume, high/low speeds, average speed, 85th percentile, etc. for a week, day, daypart or view a comparison. There’s a really helpful Enforcement Priorities report that combines all your locations and shows where and when there are issues at each location. Law enforcement can use this data to prioritize their resources so that problem locations are monitored at the right time. Radar speed displays have been proven to reduce speeds and continue to calm traffic months after the sign has been installed. According to a study by the Texas Transportation Institute, there was an average reduction in vehicle speed of as much as nine miles per hour a full four months after a radar speed sign was installed. All Traffic Solutions customers report the same kinds of results, especially when the sign is installed, even temporarily, on a neighborhood road where residents travel often. When made aware that the police department is watching the area, driver behavior is lasting. TIP: The best way to ensure lasting results and reinforce compliance is to mount your sign on a pole (it takes one person about five minutes) and use solar power so it’s always operational. We hear success stories from customers in law enforcement, public works departments, college campuses and corporate facilities, and many call to purchase additional signs. They like the portability and the remote access. They see a reduced volume of complaints, they have traffic concrete data when they need it, and they can address issues effectively while tying up fewer resources. 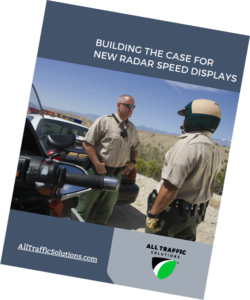 Download our free 10-page guide to get the facts about web-enabled radar speed displays, their benefits and how you can use data to support your case for the purchase of your new Shield or SpeedAlert. 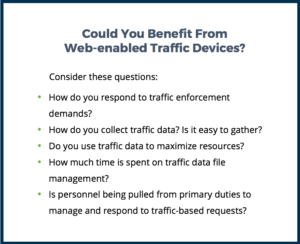 Last week we posted the first of a two-part conversation with Heidi Traverso, former police officer and ATS in-house traffic solutions expert, in which she shared how some agencies are automating traffic management and maximizing resources using cloud technology and IoT specifically by leveraging conditional sensor messaging. In today’s post, we’ll talk about how some ATS customers are using real-time data to manage traffic flow and plan for the future. How would I use conditional messaging in a work zone? The challenge with work zones is the presence of traffic where workers and equipment are also present, which could cause injury, crashes and fatalities. Depending on the volume of vehicles and the speed limit, a municipality may not want to incur the expense of police enforcement at that site. By deploying web-enabled radar speed displays in work zones, you not only add that enforcement layer by reminding drivers to slow down, you can also track volume and speed for benchmarking purposes and monitor in real-time for ongoing tracking. The data gathered by the radar speed displays are uploaded automatically to TraffiCloud where you can generate speed and volume reports in seconds for any date and/or time range. These reports may show you that your heaviest volume and highest percentage of speeding occurs Monday through Friday between 8-10am and Monday through Wednesday between 5-7pm, demonstrating with real data that police presence is needed during those times only. You can’t gain this kind of immediate insight if you have to go out to the equipment and download data constantly, then manage your data files and plug information into a spreadsheet. The same process applies to vehicle queuing. If you have real-time queuing data, you can change your work zone intervals for allowing traffic through. You can view this information in real time, which allows you to create optimal traffic flow through the work zone or use conditional messaging to route vehicles to alternate routes. All this in real time, adaptive to current traffic conditions. How can I use technology to control traffic flow? Let’s say I’ve got one intersection that, between 7am and 9am in the morning is awful, but only on some days. How can I reroute traffic when it gets to a certain point, away from there? Congestion could be caused by the way the lights are timed at that intersection, it could a choke point, it could be an event-driven occurrence like a confluence of school buses. Since we don’t have any means of knowing without collecting data and analyzing, I would just say to treat it as a segment of road. For example, if you are able to do a historical analysis of speed and volumes in an area, you can identify those pinch points and when they occur and reroute traffic away from the area using conditional messaging. For example, a job I am working on at the moment is for a city that is about to undertake a bridge replacement and they need to do two things—communicate to the public in advance about the bridge closure and/or imminent delays and then, while it’s happening, let drivers know what and how long the delay is and advise them of the time required to cross the bridge versus taking an alternate route—so that they have the choice beforehand based on current congestion. If they close all lanes except for one and they alternate traffic back and forth utilizing the one lane in timed intervals based on volume, that’s something that can be communicated in real time. Since you wouldn’t know if your westbound traffic is heavier than your eastbound or how it’s queuing up based on the work you’re doing, you need to perform a pre-engineering study. This can be easily accomplished if you have radar speed displays or count and classification devices. What I would do is put out a SpeedLane Pro counter classifier alongside a multilane road and for a month, collect a baseline for that area so you’ll know exactly when those volumes are heaviest, the percentage of cars on the road versus commercial vehicle traffic, how much of that is commuter traffic, and what are the peak hours and days. This information may really alter the course of how that project is conducted. They might determine that nighttime is the most opportune time to do their roadwork because the impact to that commute is just too significant, or that they have to create additional shoulder lanes to move traffic through the area in a different way. If they are changing an intersection or a series of intersections, they may do a temporary roundabout. I’m working with another county who did that as well. They created a roundabout while designing an intersection so that traffic would flow well through that area. It has actually worked so well that they are going to keep and expand it. By having easy access to traffic data allows you to make better engineering choices and use your resources more widely based. You can anticipate projected growth as well. If a housing development is being built and you know that X number of vehicles drive through that area currently, you need to accommodate that increase. Measuring current volumes, you can anticipate and prepare for those changes ahead of time. So, having real-time traffic data enables a municipality to minimize congestion AND do it at a lower cost? Yes. So many road projects were planned using traffic data from as much as three years ago or more. Population, roadways and conditions all change in that time, so doing real-time studies before, during and after construction ensures that you’re prepared and addressing current as well as future needs. If you post that SpeedLane Pro counter classifier for the pre-study and you leave it up, you can see and measure the impact as you’re moving forward with your project. You can infer from the trend that, “If it continues to increase at X percent, this is what it’s going to be like in a year”? Yes! That’s traffic engineering. Universally, municipalities are doing this on a per-project basis, but if they have the technology at their disposal they can do multiple studies throughout the year very cost-effectively and easily. I have another project going with a couple of engineers that don’t know how the project will proceed yet, but they want to know what their options are down the road. They know that the duration of the project is six months and there might be a pause. the great part about this is if they own the technology, the gap doesn’t matter because they can adjust for it. This county also is going to operate rolling work zones where the actual work is being conducted as they move. It could be shoulder work, it could be striping. To be able to advise and understand potential queuing volume enables two things. Number one, it makes it safer for the workers ahead because since they are constantly moving, there is no way to use barricades or lane delineators. Second, this active work zone may be confusing for a lot of drivers. 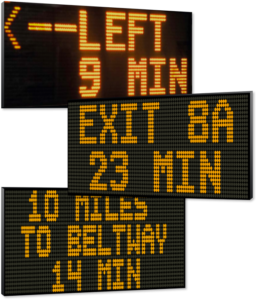 By utilizing a variable message board like InstAlert 24 in front of the work zone, they can reroute traffic with the least amount of confusion as the work zone changes from one lane, to two lanes, to shoulder work. Without this advanced notification, what happens is the vehicle in front sees the work, but three or five cars back won’t, causing a major backup, jamming brakes and unsafe conditions for the workers. What about using technology for traffic calming, setting speed limits, working with the community and traffic studies? Most traffic complaints to law enforcement are complaints or speed studies that get routed to the police department. If it’s a speed study, many times Public Works will conduct that study. One city I’m working with is going to upgrade their 40 unconnected signs to be smart units so they can gather data and upload it to TraffiCloud. As the city grows and expands, they need a really accurate idea of how that population is moving and the impact on traffic on the edges of their city. As congestion gets worse, they can tie it back and track population growth through speeds and volume and how those impact major highways or throughways. What other technology-driven traffic tools do you want departments of transportation, public works or traffic safety to know about? One big thing is preemption devices. One aspect that I’ve been studying in a lot of different cities is the impact of commercial vehicles traffic on congested inner-city roads or municipalities. They are trying to deliver goods, but they can cause severe congestion. They need to make wide turns, they’re slow to move, they’re slow to stop and potentially triggering unsafe traffic conditions. By combining our counter classifiers with ATS tools like Virtual DriveTimes or Time to Destination, cities can route trucks onto designated roads, rather than allowing them to trudge through a downtown area. For example, if you’ve got a business route or a ring road that commercial rigs could use as an option, by letting them know in advance that there is a commercial vehicle route that favors them, that holds the green longer for that direction of traffic, you’ll keep lots of trucks from the inner-city parts and you’ve done something positive for commercial commerce. You are giving that segment of the traffic population a benefit—they can get through, make their deliveries without the frustrations of dealing with inner-city traffic and congestion, and you’re giving them a favored route. Usually, it’s all about no commercial rigs, wrong way, do not enter, high restriction, weight restriction… by giving them alternate routes that favor they feel rewarded instead of punished. Heidi, thanks so much for sitting down with us, and for the great tips and tricks on how any municipality can improve traffic flow and safety, expand their services and reduce their costs using connected traffic devices, the IoT and the Cloud. Learn about InstAlert variable message signs. Learn about our connected Count and Classify solutions. Download our Count and Classify Sample Reports Brochure. As budgets tighten and needs expand, more and more communities are feeling the pressure of managing more traffic with fewer resources. Safety, congestion, special events and unforeseen circumstances—all of these coalesce into more needs, expanded requirements and a broader range of challenges to resolve. What are some strategic ways that a municipality or agency can address these needs while at the same time optimize resources? How can technology allow you to increase your service offerings while at the same time reduce your expenses? We recently sat down with Heidi Traverso, All Traffic Solutions’ in-house traffic solutions expert for municipalities and law enforcement, to discuss easy ways that any agency can leverage technology—specifically the Internet of Things and the Cloud—to increase services, reduce costs and make roads safer. In this two-part series, Heidi will provide examples of how technology can make traffic management simpler, easier and more efficient. She will also explain how public works departments, traffic divisions, and law enforcement agencies can work together to manage traffic throughout their communities. In this first post, we talk about how to define the issues, and how conditional roadside messaging can help in many situations. Heidi, you work with municipalities of all sizes, helping them solve issues related to traffic. Say someone calls you and says, “I’m from XYZ Township Department of Public Works. My community is growing, my resources are shrinking. Can you show me how I can use technology and automation to increase safety on my roads and reduce the number of resources required to direct and manage traffic? Heidi: Public works departments often recognize that they have safety or traffic congestions issues, but they don’t know how best to address them. A smart way to begin is by coordinating across functions with key stakeholders in Law Enforcement, Engineering, Road Maintenance, Parking Operations and others to learn what other departments have done to define the issues, what they have tried in order to address the problems, and how well it worked. This is the perfect time to see how technology could be added to existing solutions to increase effectiveness and reduce costs. If agencies haven’t had the success they’re looking for, it could be time for a whole new approach that leverages their existing technology and also layers in new ones, including the IoT (Internet of Things) and the Cloud. As Head of Public Works, I may not know what I’m looking for yet because I don’t understand what technology can do to help me. For example, I’ve heard the term “conditional messaging”. What is it, and how can it help my community? Heidi: Sensor messaging is a key component of any successful traffic management program. Conditional messaging leverages different types of sensor inputs like speed, traffic conditions, weather or other special conditions like events, to output dynamic messaging on variable message signs, apps, texts or websites so that drivers can take immediate action. 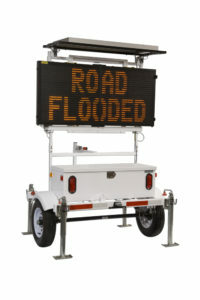 For example, messaging can be output to variable message displays placed on roadways as drivers approach an area to let them know about adverse road or weather conditions. How is technology going to help me to be more efficient if my crew has to drive around and manually change the sign messages? Good point. You’re already trying to maintain infrastructure on a budget that doesn’t cover everything. 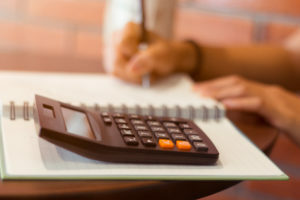 If you want to save on personnel costs, you need to have automated conditional messaging that’s connected to the Cloud in real time. It may sound counter-intuitive, but technology can save you money because there are intelligent sensors that can communicate even more effectively than a person to relay accurate temperature and other conditions. For example, you can link temperature sensors to your traffic signs, so that when road temperatures drop below a certain threshold, the sensors “tell” the sign to display a conditional message, to alert drivers that roads are icy. You can also set up a communication between flooding sensors or congested roads that will automatically, based on rules that you set up, change the message on your variable message signs under these specific conditions. All this can be accomplished in real time, as conditions change. That’s very important because the information you provide has to be up-to-the-minute or else it could be too late, or drivers may not trust what the sign is telling them because they are accustomed to receiving delayed information. Another good way to use conditional messaging to save time and increase road safety is when there are flood conditions present. A sensor not only tells you that water is present in a particular area, it tells you what the water level is. Regular alerts can also tell you whether that water is rising or falling, and if you’re getting real-time photos of that location, you can monitor the water level without being there. Feedback from the sensors is sent immediately to the message signs to advise the driving public to avoid this hazard situation. Far better for drivers to see a sign that says “FLOODING AHEAD, TURN AROUND,” than to drive further where there could be immediate peril. How does real-time information help to increase safety exactly? You don’t have to dispatch a crew to travel to each sign to change messages—they can manage each sign from the traffic management system or using TraffiCloud; however you want to manage the updating of your signs, either automatically or after someone verifies the conditions. Regardless of where you are located, your community probably experiences some kind of unexpected environmental incidents. Having that real-time connection allows you to remotely manage your messages to drivers as incidents occur. You may have flooding roads in summers, you may have wildfires, but by leveraging some pretty simple sensors that are connected in real time to dynamic message boards, you can make roads safer, offer more services AND reduce the costs to provide them. In our next post, Heidi shares how to use cloud technology and the IoT to manage traffic flow and plan for the future. 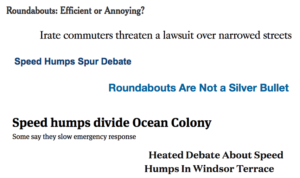 Not a week goes by that at least one community in the US is locked in a heated debate regarding which traffic calming method they should implement on their busy roads, or disputing the method already in use. Just last week, one community in St. Louis made news when several of the large concrete spheres installed to slow traffic were being knocked off their bases by speeding vehicles and rolling down the street. Some of the same citizens who had requested and supported the measure are now demanding the “hazards” be removed. The cost to erect the structures? $235,000. No word on what it will cost to dismantle them. Speed humps, which would seem to be among the most straightforward of traffic calming tools, are also causing controversy. People who live next to speed humps say they don’t slow down cars—and they’re noisy, especially when trucks slam over them. Many opponents of speed humps say they only move speeders further down the street and, once out of speed hump territory, drivers make up for lost time by hitting the gas. Speed humps annoy drivers because of their potential damage to a car’s suspension. The bumps also reduce fuel efficiency and evidence suggests they contribute to increased air pollution. A study by the Cameron School of Business at the University of North Carolina Wilmington found that each speed hump between the main drag and the house appeared to reduce home values by $5,000 or more. Many communities are opting to remove the very speed humps they fought to install, at a cost of roughly $1,000 per structure. Because of the likelihood that residents will change their minds, coupled with the expense to remove them, some localities are making residents fund an escrow account for speed hump removal before they can be installed. Curb-bumpouts, essentially an extension of the sidewalk into the street, are becoming more popular. However, as curb-bumpouts increase in popularity, it is important to note the many design and management problems associated with them. When you add a bumpout to a city street you may actually have to change the official City Plan. In Philadelphia, for example, long bumpouts require an ordinance to be introduced into City Council while smaller bumpouts require a letter from the Streets Commissioner and a public hearing. Roundabouts can be a great solution and do save lives where they are utilized. 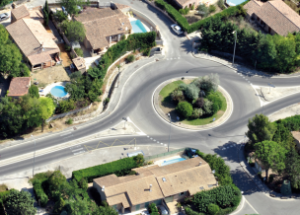 While roundabouts have safety and environmental advantages, they require years of planning and budgeting by DOTs and are not a quick solution to traffic speed issues. Also, when first introduced at a particular location, they tend to cause confusion and congestion as drivers are unsure who has the right of way as they approach. Roundabouts can be tricky to navigate in bad weather, particularly in areas prone to snow and ice. They can also cause drivers to disrespect the yield upon entry rules, especially when there is unbalanced traffic flow between the approaches. First and foremost, most drivers are unaware that they are speeding. Their attention is focused on their daily lives. With the presence of a radar speed display sign, these drivers voluntarily comply with the posted limit. For them, the radar speed sign is a gentle reminder to focus on driving safely. Additionally, portable web-enabled signs can provide timely, report-ready data for traffic mapping over a large geographical area. This data is critical for engineering, enforcement and educational initiatives. Web-enabled radar speed signs are an affordable, efficient versatile solution, allowing staff to focus on their primary duties and technology to generate data-rich reports for more informed decision-making and planning. 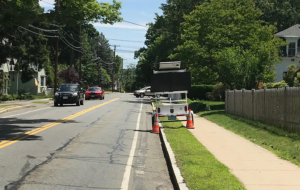 Radar speed displays are a cost-effective and expedient solution to traffic calming, which can be a valuable complement to longer-term engineering solutions. That’s something your entire community can get behind. Learn about All Traffic Solutions portable, web-enabled radar speed displays. Building the Case for New Radar Speed Displays. Download the guide now. Get the facts you need to make the case for new radar speed displays in your community. Read this free guide. This month’s report from the National Governors Association, State Strategies to Reduce Highway and Traffic Fatalities: A Road Map for States, was a sobering reminder that despite our efforts and safer cars, the promise of safety is not being realized. Not only are the numbers of fatalities rising, but the total impact to our communities is growing as well. The report highlights several recommendations for states to reduce traffic casualties — including policies on speeding, distracted driving and impaired driving. It also comes three weeks after a preliminary report from NTSB concluded that speeding causes as many crashes as drunk driving. One of the top recommendations of the NTSB report to improve traffic safety enforcement is to support targeted enforcement for speeding-related offenses and to develop strategies to target and enhance enforcement of high-risk speeding corridors. The ability to collect, use and make available data is highlighted as well. Read the report here and learn more about strategies and tactics that can make your traffic safety programs more efficient, effective and measurable. You can also watch the video of the presentation at the conference here. Learn more about All Traffic Solutions’ web-enabled radar speed displays, and how you can utilize this critical technology to target your enforcement efforts using data to reduce speeding in high-risk corridors and make your community safer. Once you’re done reading about how you can leverage ATS technology to make your roads safer, download our free 10-page guide (no form to fill out) containing the facts about web-enabled radar speed displays, their benefits and how you can use data to support your case for the purchase of new radar speed displays. Download now. 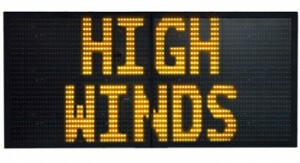 Variable message signs are the workhorses of roadside messaging devices. But if you’re sending someone to each sign every time you need to change the message or limit the use of your VMS for that reason or because it’s cumbersome to transport and set up, read on. 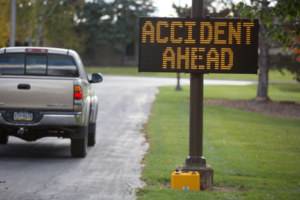 Portable, web-enabled variable message signs, such as the InstAlert 24 from All Traffic Solutions, are valuable to have on hand for a variety of reasons. This post examines the many benefits of web-enabled VMS to your agency. Cost. If you have to deploy a resource every time you need to change a sign message, it’s costing you money. First, you’re tying up that resource and preventing them from performing their other duties. Second, you’re commandeering a vehicle that could be deployed elsewhere; and third, you’re incurring fuel and vehicle maintenance costs. Time. Web-enabled VMS signs allow you to change messages remotely from any Internet-connected device, so you just need a browser and a computer, phone or tablet. With the TraffiCloud™ traffic management system from All Traffic Solutions you simply log-in, select the sign or signs you want to change, type in the new message (or select from your pre-programmed list) and click a button. Your message is now changed on your sign(s) in real time. Easy to program. You can set up multiple messages for different days and dayparts; for example, display “SPEED 20 MPH- SCHOOL ZONE-SLOW DOWN” during school hours on weekdays and share other information “VOTE HERE 11/6” at other times. Easy to monitor your devices. When connected to TraffiCloud, the InstAlert 24 can send you a text or email alert when batteries are low or dead, or when the unit is tampered with. It can even send you timestamped images which have helped some ATS customers to recover the sign and catch the perpetrator! If you’re not sure where your unit is deployed you can locate the exact location using the GPS feature. Conditional messaging is when your signs display dynamic messages based on live inputs from sensors, devices or systems. For example, a temperature sensor on a bridge can send a message to TraffiCloud when the surface temperature dips below 32 degrees, which triggers a message to your sign to display BRIDGE ICY GO SLOW. Or your SpeedLane counter classifier sends a message to TraffiCloud when traffic volume on a road goes above a certain percentage, which triggers a message to your sign change to TRAFFIC ON RT. 6 TAKE ALT ROUTE. Both the InstAlert 18 and the InstAlert 24 are full-matrix signs with multiple screens capability for text, graphics, chevrons or custom images. InstAlert 24 weighs just 43 lbs and folds to fit in your vehicle’s trunk. 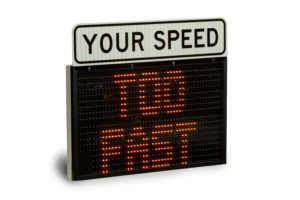 It’s the most portable MUTCD-compliant variable message sign available, making everyday portable use or permanent installation simpler than ever. InstAlert 24 is available with optional NTCIP compatibility. It’s often necessary to communicate with drivers and pedestrians in a specific area—for example at a school—whether it’s to direct vehicles to available parking at a football game, to the admissions office or student orientation location, or to share important information such as early school closings. InstAlert 24 fits the bill. InstAlert 48 and InstAlert 68 are large format message boards with superior visibility for high-speed roadways and areas with lots of truck traffic. Both are fully NTCIP-compatible for Intelligent Transportation Systems (ITS). 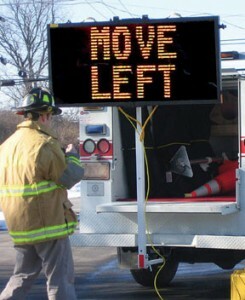 Variable message signs are extremely useful to public works departments. 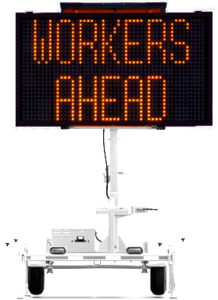 In a work zone, instead of having a worker or flagger (qualified personnel who are equipped with handheld devices such as STOP/SLOW paddles, lights, or flags to control road users through work zones) standing behind your work crew, your InstAlert sign can display chevrons and a 3-screen message: “ROAD WORK. SPEED LIMIT 35 MPH. SLOW DOWN.” to alert drivers as they approach the area. When the crew leaves for the day, the sign display can shut off or change messages. If you would like more information on InstAlert variable message signs, TraffiCloud or any of our products, contact us now or request a quote. The chance of a person dying as a result of being struck by a vehicle decreases 5 percent when the speed of the vehicle is just five mph lower. That’s one percentage point less for every reduced mile of speed. 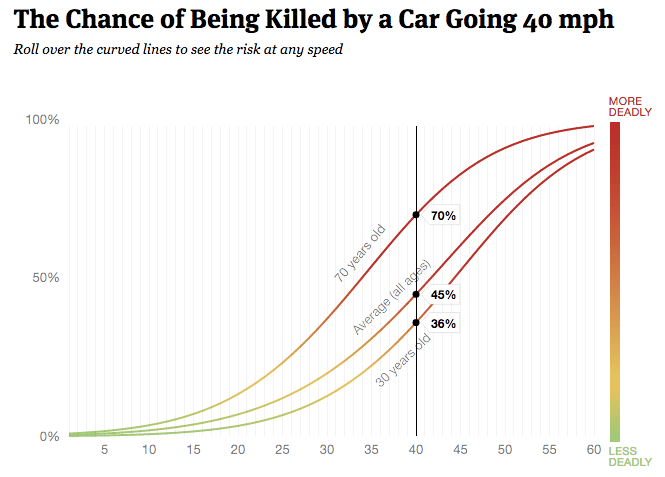 But if you double the vehicle speed from 20 mph to 40 mph, the chance of death doesn’t merely double from 7 percent to 14 percent—it skyrockets to 85 percent according to a National Transportation Safety Board 2017 study. Pedestrian deaths from speeding increase exponentially as vehicle speed increases. 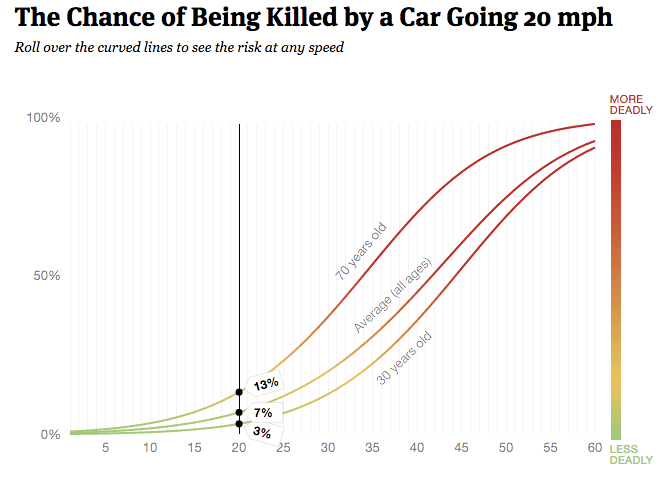 Once cars reach a certain speed (just above 20 mph), they rapidly become more deadly. Think about the speed limits in your community, especially around schools, parks and shopping areas. If speed limits in those areas are set higher than 20 mph, it’s probably time to reassess and request a lower speed limit, as well as anywhere else where there is a disproportionate number of speeding vehicles. Radar signs are a versatile and effective traffic-calming method and an efficient way to gather highly accurate speed data. To demonstrate the volume and percentage of speeding vehicles on any given road, you’ll need to gather accurate speed data. You can run quick, easy speed studies using a radar speed display such as the Shield radar sign or SpeedAlert radar speed display from All Traffic Solutions. Both the web-enabled Shield and the SpeedAlert capture accurate speed and volume data, and when you the TraffiCloud traffic management system this data is automatically uploaded so you can run pre-designed reports and charts for traffic studies. Either device can also gather data in “stealth mode” so the sign appears to be turned off and drivers won’t slow down as they pass. This provides true data of drivers who aren’t on their “best behavior” because of the sign. 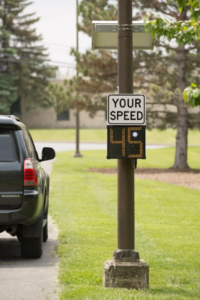 Radar speed displays are perfect for handling speed complaints—deploy one in lieu of a police officer and you save money and enable law enforcement to stay in the field. Then simply select your date and time range in TraffiCloud and produce a report to present to the citizen that shows the real story on speeding down their street. If your goal is to increase traffic safety in your neighborhood, radar speed signs are an effective, lasting method for calming traffic. All Traffic Solutions customers are seeing reductions in speed of as much as 23% and more after installing a radar speed display— making them one of the fastest, easiest and most effective ways you can improve the safety of your roads. If you’d like more information on any of our cloud-based traffic calming solutions, contact us to speak with a solutions specialist, or you can request a quote now on any of our portable traffic devices. To test out ProPublica’s interactive speed chart click here.